While seeing the graphics, additional commands can be inserted into the console windows. The commands typed into the console can be stored into a file to have a gnuplot script. To not have gnuplot interactive, start it with the script: gnuplot -p <script>. 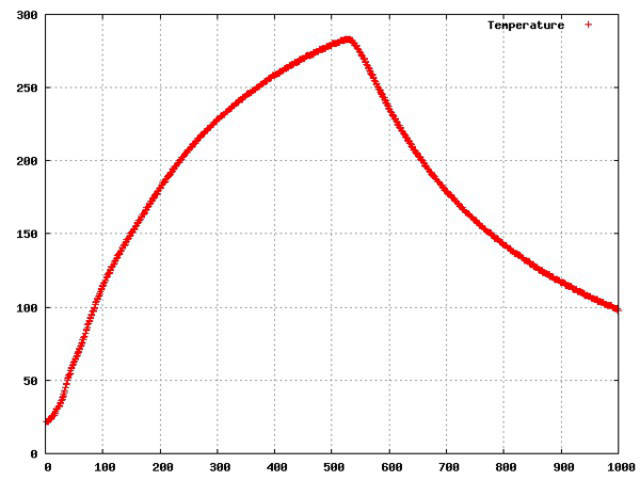 The script runs and gnuplot exits. The -p option keeps the graphical window alive when gnuplot exits. Since it is interactively you can zoom in with the mouse and give some hot key commands as u for zoom out, g to show the grid and h for help on that feature. The first command set terminal selects the output format. 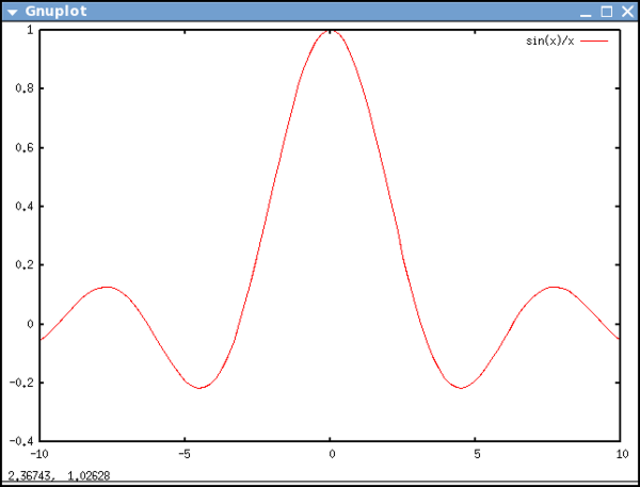 The second deviates to a file and the third re-plots the graph into the file. Gnuplot does not handle directly fonts and this might cause the set terminal command to fail. Postscript and jpeg are not critical formats. After having the file it can easily be converted in other formats.